If you want to adjust the raked stance of your truck or SUV to give it a more level look, or squeeze in a few more inches of tire diameter, a Daystar Leveling Kit is an inexpensive, easily installed, and long lasting solution. Most trucks and some SUVs are shipped from the factory with a "raked stance" which means the rear suspension sits higher than the front giving a truck a slight nose down look. This is done so that heavy loads in the bed or trailer will leave the truck more level instead of pushing down the back and raising the front. If you like the way your truck handles you may not want to raise the center of gravity with a full suspension lift, but if you still want bigger tires a leveling kit will give you some clearance with minimal handling effects. If you're not carrying excessively heavy loads then you might want to level out your truck's stance just for looks. It's easy to see that a raked stance leaves more room in the rear wheel well than the front. So adding some height to the front suspension is an easy way to gain some ground clearance and make room for larger diameter tires by giving you the same amount of room in the front as you have in the back. Now some folks, like those here in Stephenville TX, who make their living hauling round bales, 40ft trailers, or enough 2x4s to frame a house might like the idea of adding even more height to the rear of their truck. In that case, Daystar manufactures rear lift blocks or spacers that will raise the rear suspension and provide a few more inches to keep you from bottoming out with a heavy load. Whenever you're considering a part that could have an effect on your suspension geometry, like a lift or leveling kit, you want to make sure it's a tested, high-quality part. 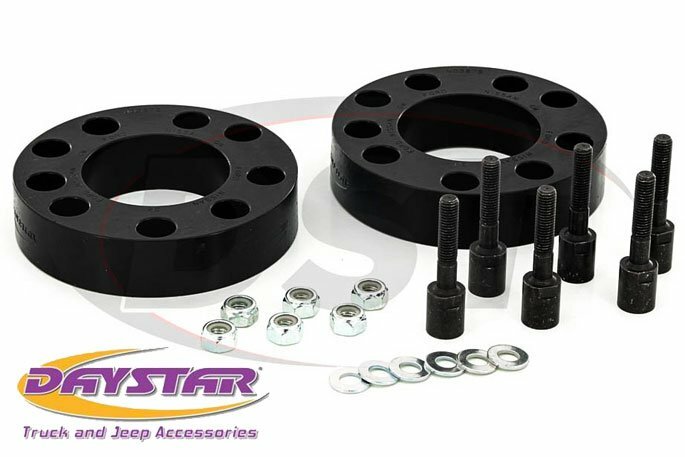 Daystar's Leveling Kits are engineered to not affect the alignment of your suspension which keeps other components from wearing out prematurely. Coil Spring Spacers for the front are made of Daystar's special blend of polyurethane, which gives you the toughness you want without making your ride too rough. Daystar's kits are Made in the USA and uphold a high standard of quality that is reflected in the rigorous testing that they put their parts through. 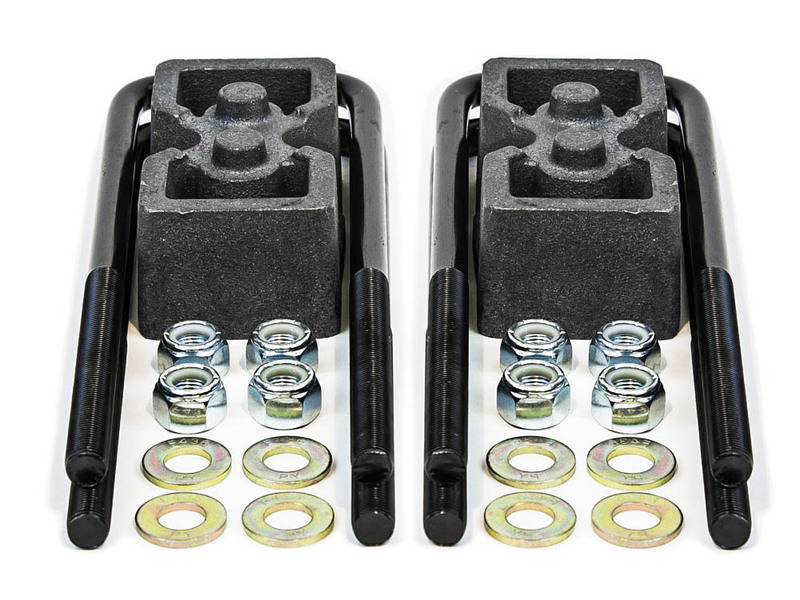 There are different sizes and options for Ford, Chevy, Dodge, and Ram leveling kits (along with many others), including rear leaf spring blocks, coil spring spacers, and torsion bar keys. Daystar's parts are designed to work with the OE suspension and are backed by a Lifetime Warranty which DST will handle for you in-house, so you can deal with the folks that actually sold you the part. So whether it's your work truck or weekend rock crawler, Daystar leveling kits can level out your stance, make room for bigger tires, or increase ground clearance in the rear.